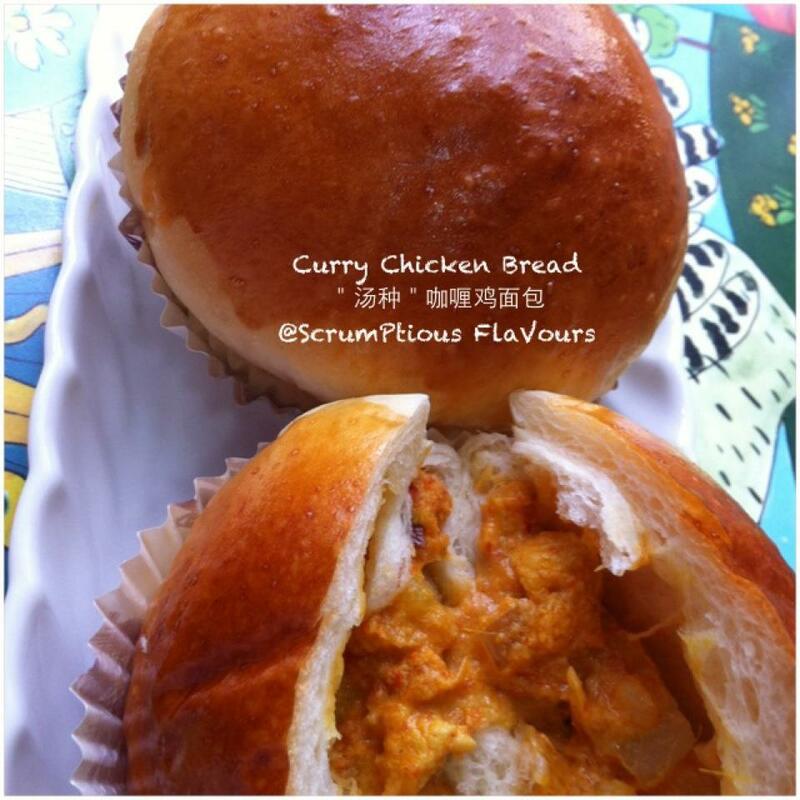 Father has been asking when am I going to bake his favourite Curry Chicken Bread. 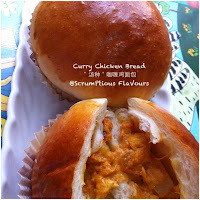 So last Saturday I decided to bake the bread as I still have 1pc of chicken breast in the freezer and some curry paste in the fridge. Below is the recipe I like to share, end up I bake 3 different types of filling. 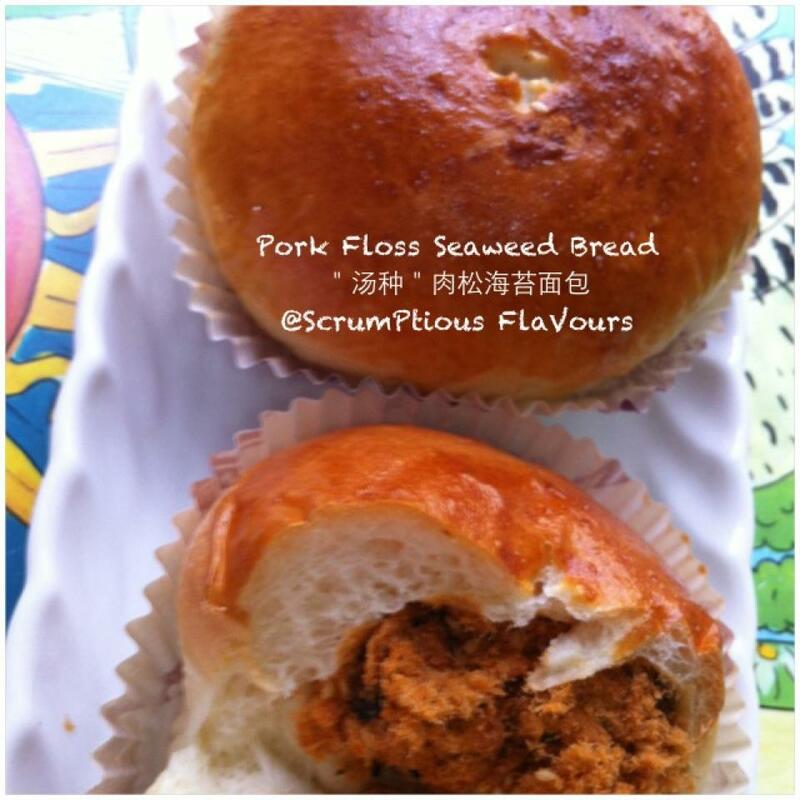 Curry Chicken Bread, Pork Floss Seaweed Bread and Cranberry Polo Bread. I used my industrial mixer to mix the dough as I am going to made 4 recipe which total 36 buns. 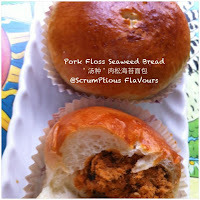 Given some to my family and BF the rest bring to office to share with my colleagues for breakfast. Mix to a dough then add in salt, butter and mix to a soft dough. Take out the dough and shape it round and cover a plastic wrap and let it proof for the 1st time to doubled in size. When the dough has proof to double in size divide the dough to 60g and shape into a round shape and proof for the 2nd time for another 15mins 20mins. Flatten the dough and put in the curry filling and shape it round. Put onto the baking liner and proof to double size. Brush with egg wash and bake at 180°C for 15mins..
Cook the onion and curry paste to semi soft. Add in the Potato, Carrot and fry to soft. Add in the Salt, Chicken, Water, Milk and Fresh Cream and cook until it's boil. Add in 2tbsp corn flour to thicken.